Product categories of Drive Belt, we are specialized manufacturers from China, Bando Scooter Belt 669 18 30, Aerox Belt 751 16.5 suppliers/factory, wholesale high-quality products of CVT Drive Belt 788 17 28 R & D and manufacturing, we have the perfect after-sales service and technical support. Look forward to your cooperation! 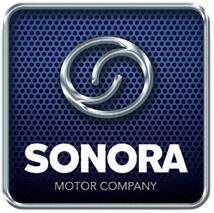 Sonora Motors are very proud to supply varous famous brands of scooter drive belts, such as Gates Powerlink scooter drive belts,Bando scooter Drive Belt,Dongil scooter drive belt,etc.Different size of scooter drive belts are for different scooters.Suzh as 669 18 30 scooter drive belts are for GY6 50CC,60cc,80cc scooters.743 20 30 are for GY6 125 scooters.842 20 30 are for GY6 125 or GY6 150cc scooters.At the same time, the size of hub also decide the scooter drive belt.So when you purchase the scooter drive belt, you have to confirm the size of your scooter drive belt first.